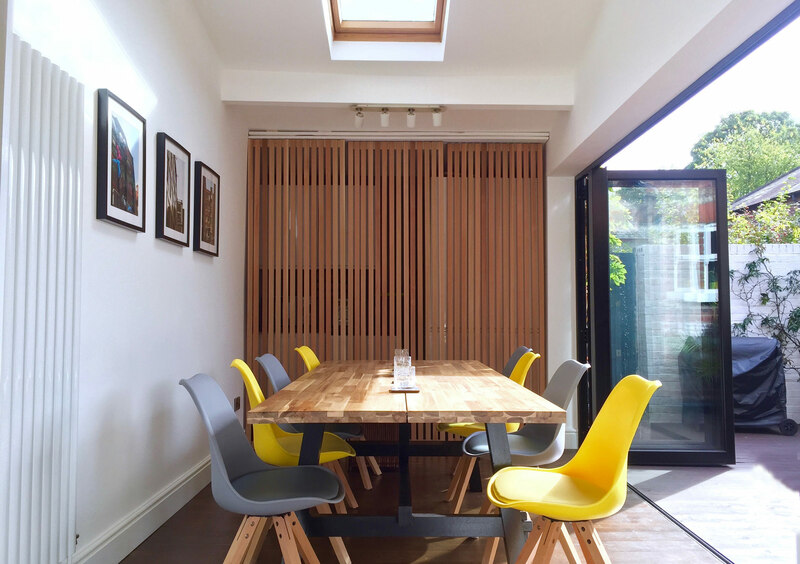 The brief for this project was to completely remodel and redesign the rear kitchen and dining area of a Victorian house in the Whalley Range area of Manchester. 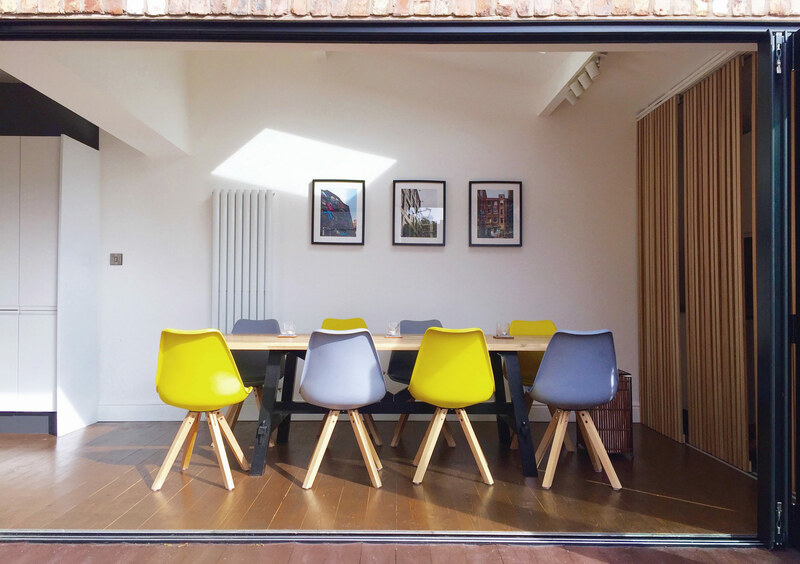 Located in a Conservation Area, the main principle behind the design was to open up the space as much as possible to the outside and create a more open-plan interior that retained orignal features. 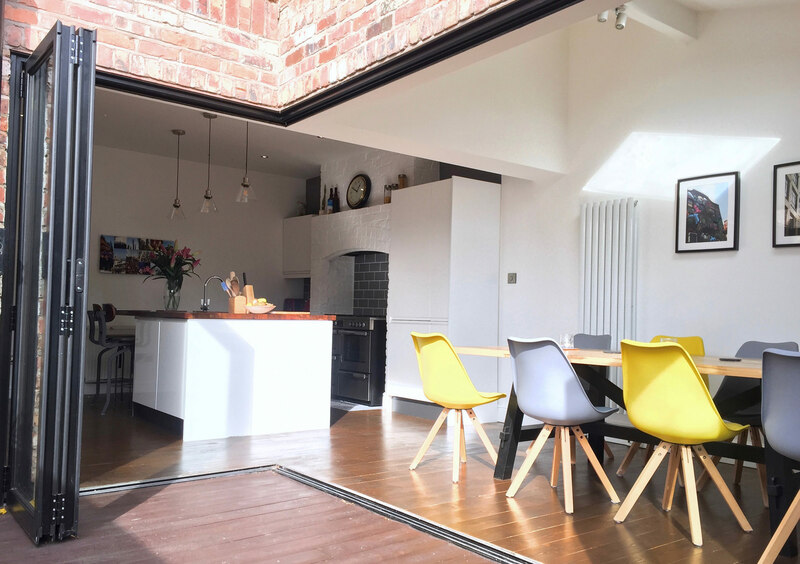 Artform Architects’ proposal was to remove the existing galley kicthen and re-work the layout around the orginal brick chimney. 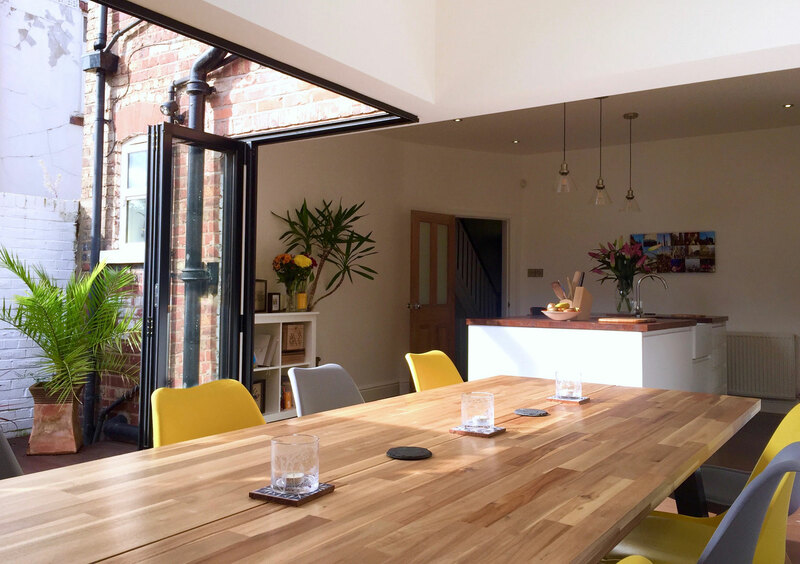 The dining space is positioned under the existing rooflight to benefit from high levels of natural light. 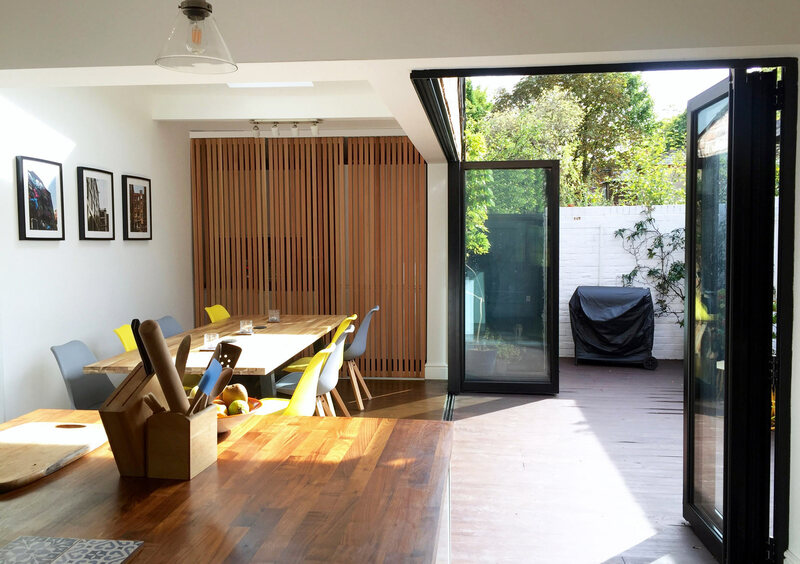 Both spaces are connected by removing both internal and external walls and the installation of new cornerless bi-folding doors. 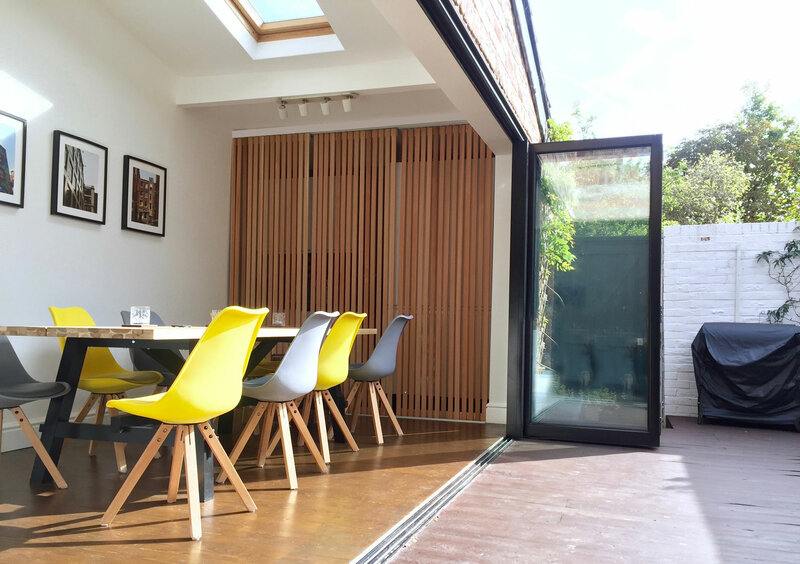 This is the key feature of the design and allows the external space to flow inside giving a sense of additional floorspace. The project also included a new dormer roof conversion to provide the house with additional bedroom space.